Bookride: Billy Childish. The First Creatcher is Jellosey, 1981. Billy Childish. The First Creatcher is Jellosey, 1981. Billy Childish. 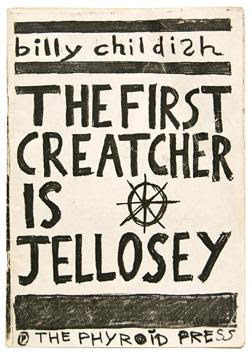 THE FIRST CREATCHER IS JELLOSEY. Phyroid Press, Chatham, 1981.
infact we will do you down.